Traincraft is a transportation mod with a long past and it's finally back! Still waiting for 1.12.2 version of Traincraft! Lol! Still don't know when this wonderful mod will be updated to 1.12.2? Question. Why do the train cars bunch up? I've lost more goods to train cars bunching up and then exploding than I can count. The engines are great, but the cars are lot to be desired when hitched. 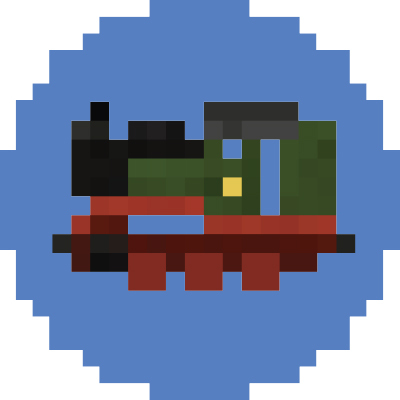 There is a block in Railcraft called fluid loader, this block can load fluids (as name suggests) into Traincraft tank wagons, or even fuel into Diesel engines. the snowplow was never decoration. It always worked. the small tracks should work. In the current system it's kinda not possible to check if we need to remove a tile or not. That's why it's not supporting the larger ones. and make the wheels on the engin and cars move? There won't be any next update. The next step will be the rewrite with advanced functionality. You will be able to run both version at the same time. From the current state we don't think that we provide a conversion tool by ourselves. It's planned that the wheels will rotate on the rewrite but it has to be supported by the Train itself - and this is part of the artists work. For old Trains we won't provide that functionality. when will this be updated to 1.12.2 and 1.13 theas are the latest minecraft forge servers. railcraft for 1.12.2 released(beta), now we wait traincraft 1.12.2!! !